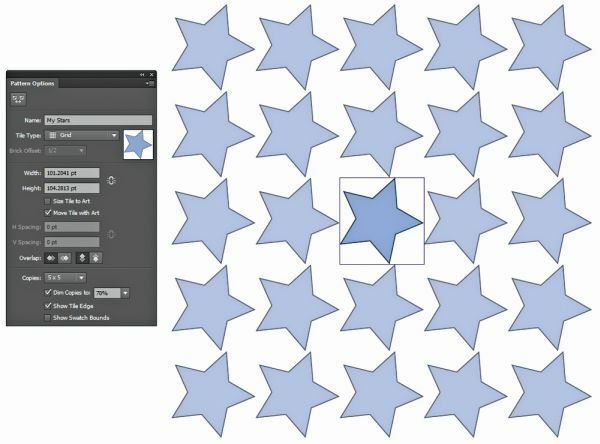 Adobe Illustrator CS6 brings a new tracing engine, pattern generator and workspace and toolbars. Learn how to put the new features to use. 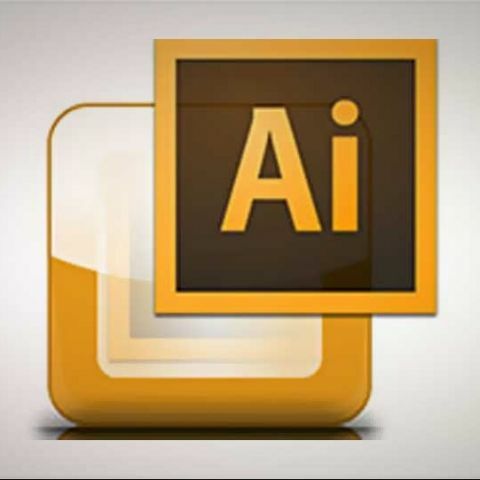 Illustrator has been the mainstay of graphic artists for a long time. Illustrator CS6 features a completely revamped rendering and tracing engine along with many other finer improvements suggested by users. Previously exercises in pattern generation would used to end with frayed nerves and frustration, it was an endeavor undertaken only by the most patient. The new Pattern Creation panel takes away all the complexity involved in creating seamless patterns. Creating a new pattern is as simple as selecting the object(s) that you want to included in a pattern and then navigating to Object > Pattern > Make. A dialog box will pop up – it tells you that a new pattern has been added to your Swatches panel. Hit Ok and you’ll see the pattern repeating itself in a simple grid. You can tweak the pattern add or remove shapes/object, specify the overlap mode, change the grid type and so on. Applying the pattern is as simple as selecting the Pattern swatch for Fill. You can go back and edit the pattern in the Pattern editing mode by double-clicking on the Pattern swatch. 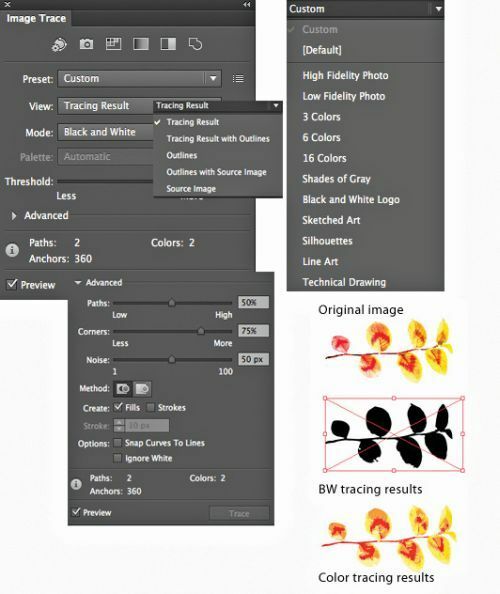 Illustrator CS6 brings to the fore a completely revamped tracing engine. The new tracing engine albeit good, works well with photos and allows quick and exact vector silhouettes but the presets don’t work well when you want to trace sketches or textures in fact the Live Trace feature in Adobe Illustrator CS5 does slightly better compared to the one in the latest avatar when you use the presets. A point to keep in mind is that we’re talking about presets, and 99% of times the presets don’t yield the exact result you want, you’ll have to manually tweak the tracing settings to get the desired result. You can access the new tracing features from the Image Trace panel (Window > Image Trace). You have an access to all other panels and tools which was not available in the previous version. Even the presets available have also changed for e.g. the new “Silhouettes” preset allows you to quickly create vector silhouettes. How many times have you cluttered your workspace with myriad of panels, and then scratch your head when you can’t find something. Illustrator CS6 provides an ability to reset the workspace to a default position by clicking on the “Reset <workspace>” option where <workspace> is the name of your workspace e.g. Essentials. 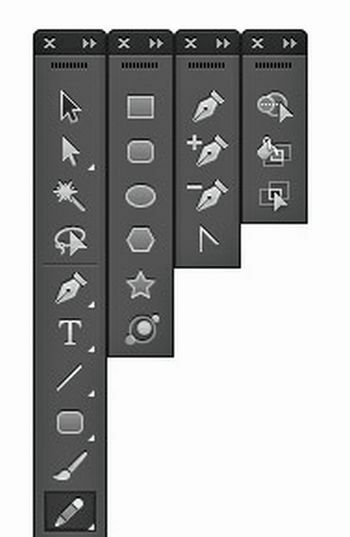 This will be a welcome option for those of you who use Illustrator day in day out. The new Illustrator CS6 allows you to tear off and dock tools separately thus allowing you to create your own custom frequently-used toolbox. To do so click and hold any particular tool icon in the Tools panel to reveal hidden tools. Now click on the vertical bar at right of the tool area to tear off those tools, you can now drag around that box and dock it anywhere you like. Adobe Create Now tour kicks off in New Delhi, brings the "Best of Max"
how to use a laptop?